This month marks George and Amal Clooney’s first Valentine’s Day as husband and wife! 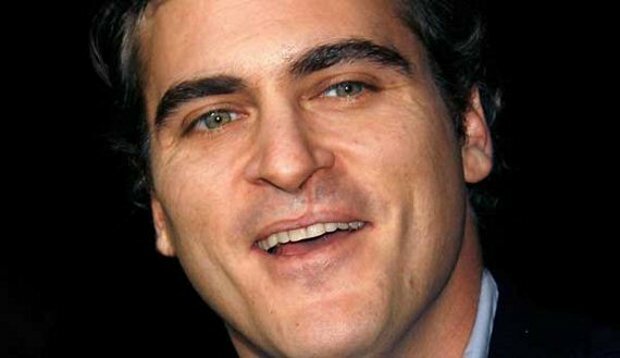 He and Amal tied the knot in a romantic wedding during a weekend full of festivities in Venice, Italy, after getting engaged in April. 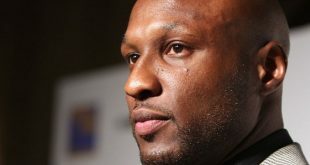 The couple have been in the spotlight since they went public with their relationship during an African safari in March. 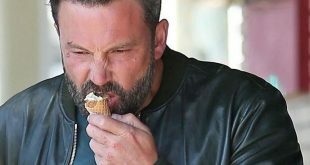 George and Amal may not have many months as an official couple under their belts, but that doesn’t mean they don’t already have plenty of sweet snaps together. Take a look at the duo’s cutest pictures together to celebrate the romantic holiday, and congrats to the couple! 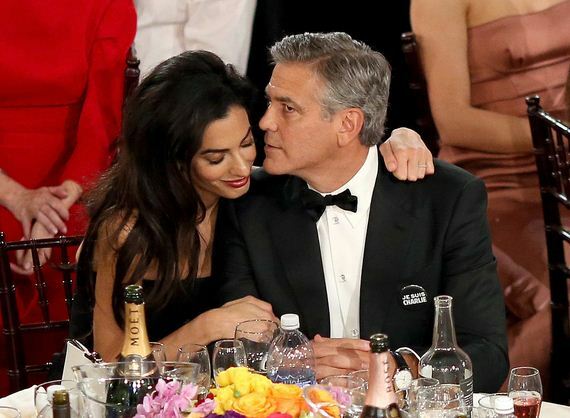 Amal leaned in close as George whispered her something at the 2015 Golden Globes in January. George couldn’t keep his eyes off Amal during their cute date night in December 2014. 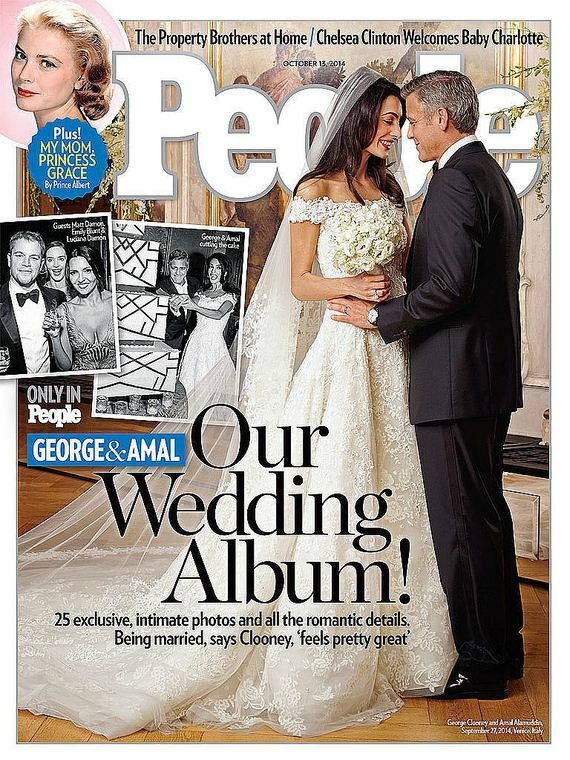 This wedding moment between George and Amal was so special, People magazine chose it for the cover of their issue. 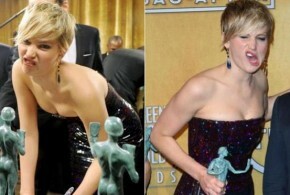 It was like the cameras weren’t even there when George and Amal walked the red carpet at the 2015 Golden Globes in January. 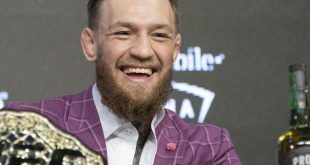 The couple took selfies with friends in March 2014. 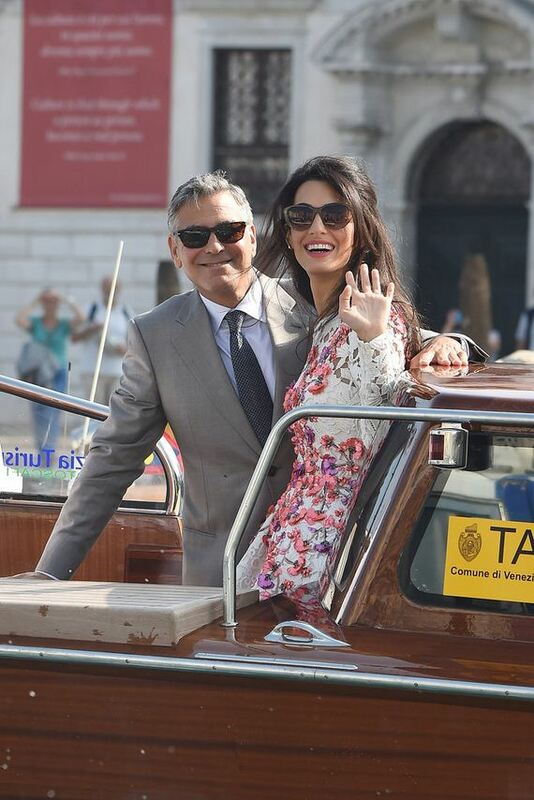 George and Amal made their way to their civil wedding in Venice in September 2014. 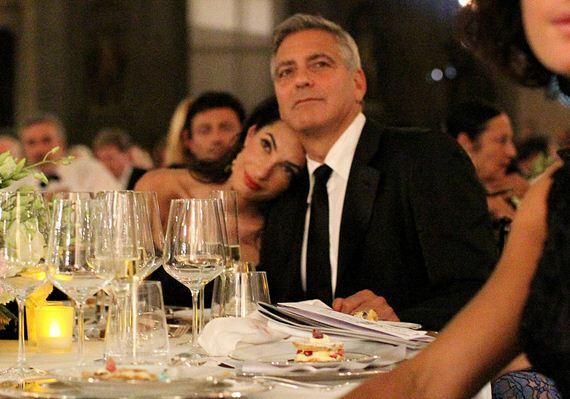 Amal rested her head on George’s shoulder while at a Celebrity Fight Night in Italy in September 2014. 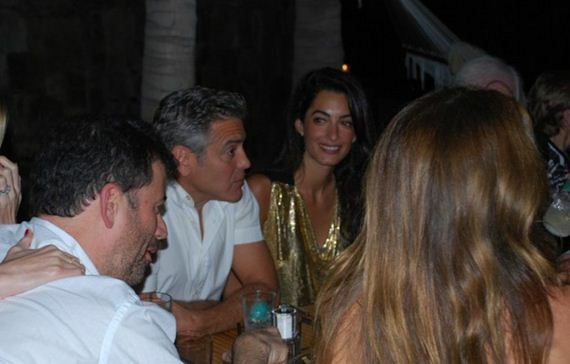 George showed PDA with Amal during their March 2014 safari in Tanzania. George and Amal laughed out loud during a charity event in Florence, Italy, in September 2014. George and Amal gave each other a loving glance while in Tanzania in March 2014. The couple smiled big when they arrived in Venice for their wedding weekend in September 2014. George held Amal’s hand on their way into a charity event in Italy in September 2014. 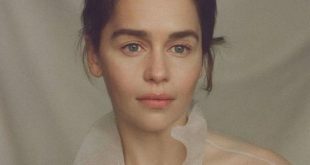 The couple stayed close the day after their September 2014 nuptials in Venice. 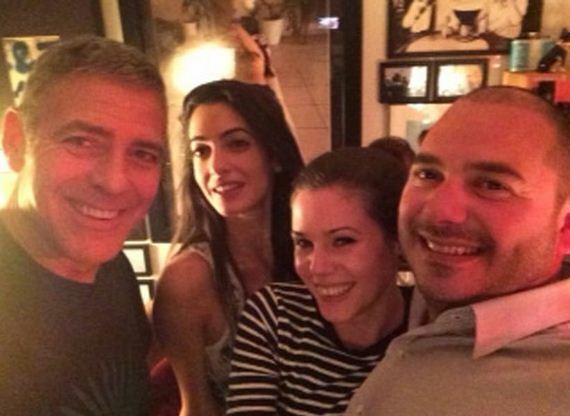 The two had a group dinner with friends during their trip to Africa in March 2014. 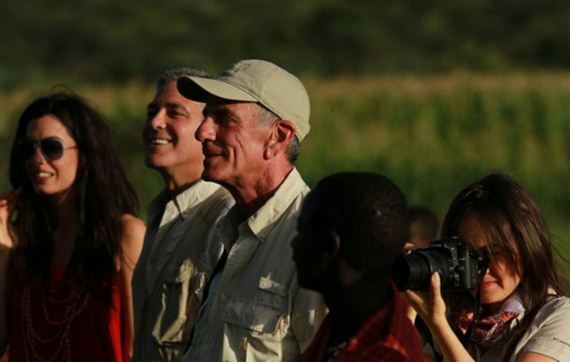 George took Amal on an African safari in March 2014. The couple posed with locals during an outdoor trip in Tanzania in March 2014. George and Amal smiled and waved for their first photos as newlyweds in Venice during their September 2014 wedding weekend.